You won't believe what's going on in the glamorous world of celebs and how fast it's all happening! Jared and Ivanka are Couples Goals! Recently, the First Daughter invited members of the press into the $5.5 million Washington DC home she shares with husband Jared Kushner and their three children. There, she opened up about her secrets and strategies for keeping her 8-year marriage going strong. “Family is so important to us, and we really cherish the times when we can just sit and relax together in this $5.5 million dollar house,” Ivanka gushed. “The sunroom is our favorite. I like to sprawl on the couch and do the Sudoku, and Jared likes to throw cushions on the floor and read the New York City zoning laws aloud to the children. “Sometimes we play Monopoly together, which is Jared’s favorite. Every time he gets the Get Out of Jail Free card he giggles like a little girl. Which is cute. No, seriously it is cute. Wait, are you writing this down?” Who needs the White House when you have this fun, $5.5 million house? Ruth Bader Ginsburg Claps Back! In response to a lingering health concern, the Despacito singer arrived today at Cedars-Sinai Hospital in Los Angeles, where he received a routine chest X-ray. Doctors say the Biebs will be “mildly radioactive for the next several hours.” Cute! Kim K posts from B.K.! Shortly after one o’clock this afternoon, Kim Kardashian posted an urgent message to her Insta followers from a Burger King drive-thru. Don't be surprised if “#trapped” and “#needmykrispyfish” start trending! Citing irrevocable differences, Ivanka Trump announced this afternoon that she and her husband of 8 years will be separating. Our sources tell us that the First Daughter is now in an “intense, sexual relationship” with reality TV star and former Trump Administration aide Omarosa Manigault. Separately, the new couple has announced that they will be adopting 139 orphaned children from the island of Pamban in the Indian Ocean. Fast and Furious Twelve Gets the Green Light! Following the worldwide success of the first eleven Fast and Furious movies, Universal Studios this afternoon confirmed that the twelfth installment is now in the works. Curiouser and Furiouser will pit the regular cast of characters against the notorious “Lorax Gang,” who are imperiling geopolitical peace and stability by driving extremely expensive cars, extremely fast. Brian Austin Green, of 90210 fame, has signed on to play Mitch “Green Eggs” McElligot, Vin Diesel’s new sidekick. When asked about the film, Diesel told us, “There’s going to be a lot more action. There’s going to be a lot more suspense. There’s going to be a lot more drama. There’s going to be a lot more… hold on a sec…what was your question?” Sounds like it's shaping up to be the best installment yet! Separately, their 139 orphaned children were each given a $25 Amazon gift card, and have been sent back to the island of Pamban. Late this evening, Justin Bieber and his on-again-off-again sweetheart Selena Gomez were spotted having an intimate dinner at Café Montague. On her wrist was a $33,000 BVLGARI watch, a recent gift from the Love Yourself singer. 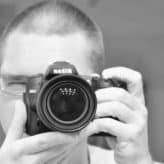 Writer and photographer living in Allenhurst, NJ. People have often said about me, "huh, there's something funny about that guy."